Today on ‘The Highlight 2014‘, we’re focusing on the world wide web. There are some terrific websites & web apps out there and designers and developers are doing some crazy things in modern browsers with newer technologies. 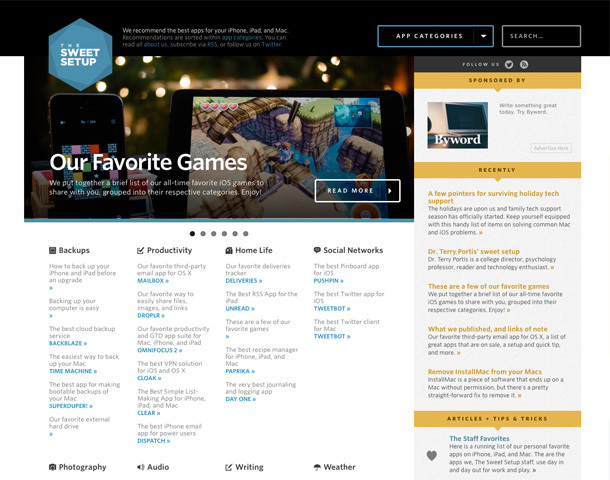 Along with apps, we’ve also been writing about our favorite examples of beautifully designed websites for quite some time now and we thought we’d bring you our picks for some of the best websites that we came across in 2014 and kept returning to. 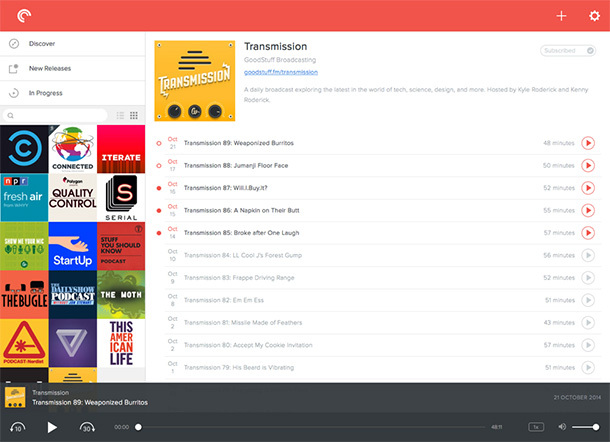 Pocket Casts Web is a beautifully designed web app for listening to your favorite podcasts that you are subscribed to. Shifty Jelly already had stunning apps for iOS and Android, so it’s no surprise that Pocket Casts Web is just as gorgeous. Sync is built into this, so your podcasts from your smartphone app are also available here. I don’t frequently listen to audio podcasts, but still found coming back to this every now and then when someone recommends an episode on Twitter. Pocket Casts Web comes with a 7-day trial and if you like it, you can continue using it for $9. Tools & Toys is quite possibly the best website that I got hooked onto in 2014. Shawn Blanc and the Tools & Toys Staff have done a remarkable job with the site. Although it’s been around since 2011, they launched a beautiful redesign just 3 months ago that just looks gorgeous and the content posted since then has improved as well. The site looks great on all my devices and the large photos that are posted look terrific. 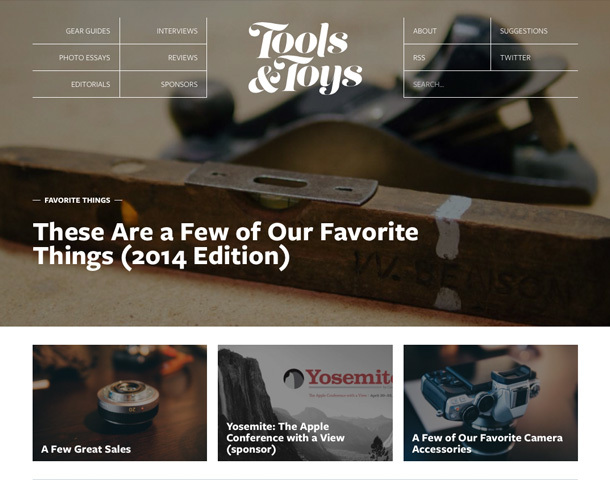 If you haven’t already, I urge you to visit and then subscribe to Tools & Toys today. They just posted a list of their favorite things from 2014. The Sweet Setup is another beautiful site by Shawn Blanc (I’m pretty sure he’s got a secret formula). I’ve been a huge fan of his ‘Sweet Mac Setup’ series that he used to publish on his blog. As someone who had recently moved away from Windows, it was a great resource to see how everyone was organizing their Mac hardware and what apps they were using. After the launch of iOS devices, this series got its own identity with The Sweet Setup, where you can read about people and their iOS devices and/or Macs as well as what accessories or apps they’re using. Go ahead, check the site out. You’ll love it. 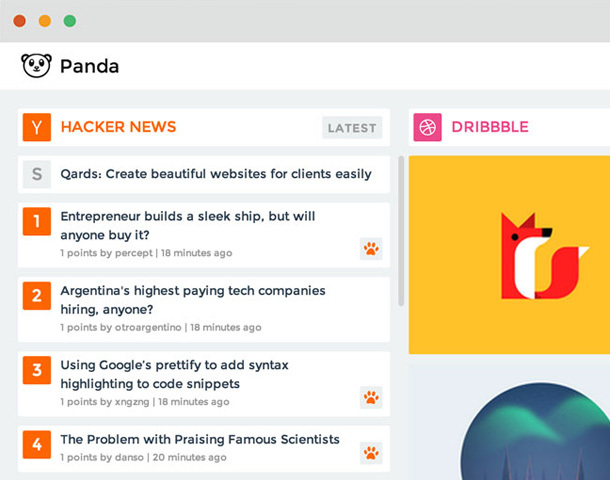 We told you about Panda back in July, which is sort of a dashboard for content from sites like Designer News, Hacker News & Product Hunt. Recently, they released Panda 4 that brought a host of improvements to it. Panda is targeted as a newsfeed or dashboard for designers, developers, entrepreneurs or anyone interested in what’s happening on the web.You can now browse the content from sites like Product Hunt, Designer News, Hacker News, Dribbble, The Verge, Behance, Fast Company, Wired and others. The content is neatly laid out and depending on who you are, there are different layouts customized for you. If you like reading and keeping up with news sources, you should check Panda out. 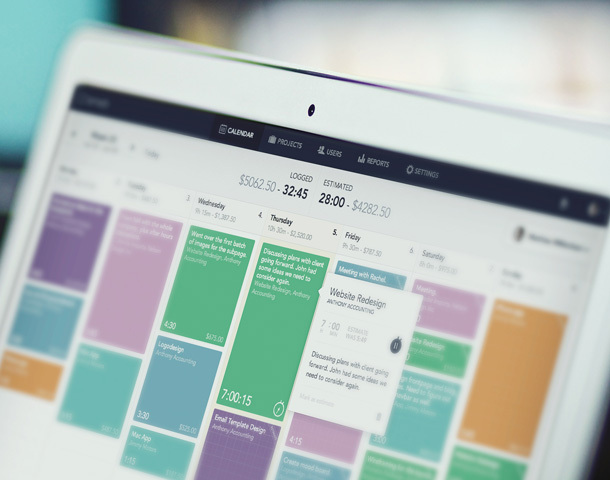 Timely is an excellent tool for scheduling and time tracking. Available as as web app as well as a stunning iPhone app, Timely is designed to take the pain out of process of tracking your time. It integrates directly with your existing calendar service like Google, Apple or Microsoft and your events are auto-imported into Timely as scheduled events. The web app has a slick workflow and feels quite close to a native Mac app. The iPhone app on the other hand was recently updated to be actually native, and is a huge improvement over the previous version. Timely is free to use for one person and three projects, with several tiers available that increase the number of people that can be allocated to your projects as well as the total number of projects you can monitor. Evernote’s Web Beta caught everyone completely off guard. Evernote has impressed us with their iOS app over and over again and this time, their web app received a new, minimal coat of paint. This redesigned web app looks slick and has great typography. It’s along the lines of a minimal writing apps you’d find for OS X. The green glyphs on the left look great as well. Seriously, the team did a damn fine job with this release. 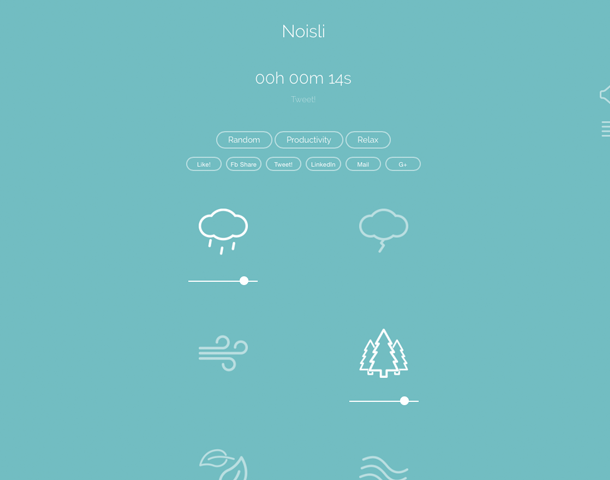 Noisli is a beautifully designed background noise generator tool for your browser. It has a minimal design with gorgeous glyphs for toggling between various background sounds. You can alter the level of each sound and even choose between preset mixes for Productivity, Relaxing or choose a random one. If you prefer, there’s a Noisli iPhone and iPad (Universal) app as well. In case you are just joining us, we’ve published the following posts as part of ‘The Highlight 2014’. We’ve got two more posts in store for you guys, so make sure you are subscribed to our RSS, Twitter and Facebook feeds. Stay tuned.